Education is the backbone of the society and plays an important role in bringing up a competent generation. With the all pervading digital technology in India, it has become necessary to inculcate STEM (science, technology, engineering and math) education right from the beginning of the education i.e., from Nursery. Technology changes the way kids socialize and interact with others, which can have huge impacts on their mental and emotional well-being and development. Technology-oriented education should not only equip children for the workplace — it should also prepare them for better everyday life. Familiarizing children with issues of national importance like conservation of energy, concern for the environment, optimum utilization of natural resources and need for sustainable living, has to be cleverly built into the curriculum in a way that makes learning enjoyable & provoke young minds to address these critical issues with seriousness. One such initiative is taken by a highly technical society engaged in the Air Conditioning & Refrigeration namely ISHRAE is praiseworthy. They have started a K-12 initiative in which STEM subjects are introduced to young minds through quiz contests, theme-based poster and painting competitions, allegorical storytelling, encouraging debates and more. These learning at an early age form the bedrock of a responsible citizenship of India. With about 24 chapters in India, ISHRAE has made a prominent mark in Bhopal by educating school and college students on saving the environment. They have also launched experience centre where complete range of commercial refrigeration products are showcased. Education is the only power that equips us with the required skills to lead a happy, fulfilling and meaningful life. This also fits into the Prime Minister initiative focusing on free primary education and “Beti Bachao-Beti Padao” program. Education gives many purposes to the life such as enhancement of the personal advancement, increase social status, social health, economical progress, success to the nation, set goals of life,make us aware towards many social issues and gives solutions to solve environmental problems and other related issues. This mode of approaching, teaching & nurturing the minds of young school children used by this Society needs to be replicated. 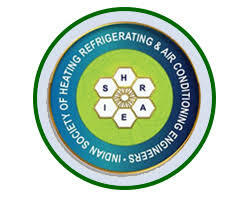 Other social & technical organization that would like to promote a scientific temper in the young minds may approach the Indian Society of Heating Refrigerating & Air Conditioning Engineers popularly referred to as ISHRAE (www.ishrae.in) and learn about their K-12 Program.